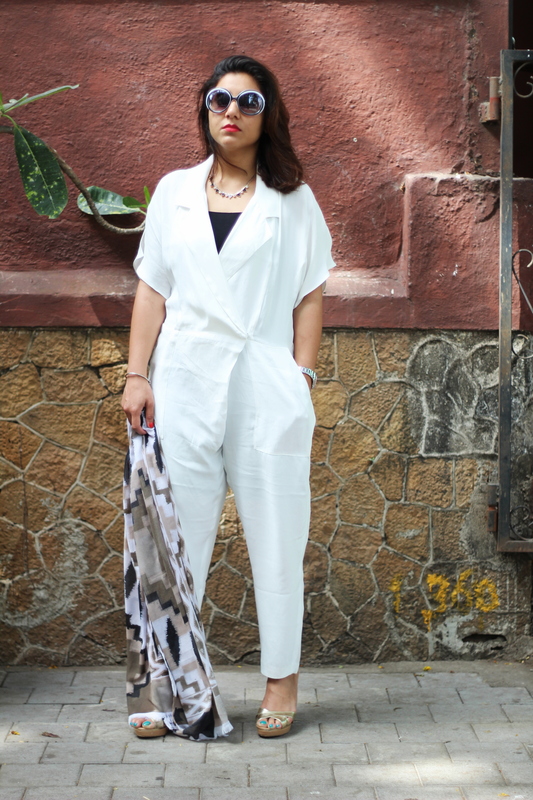 There is something about Mumbai that attracted me and in spite of its crazy hot weather which at times made it unbearable to even step outside the room, i have returned satisfied. 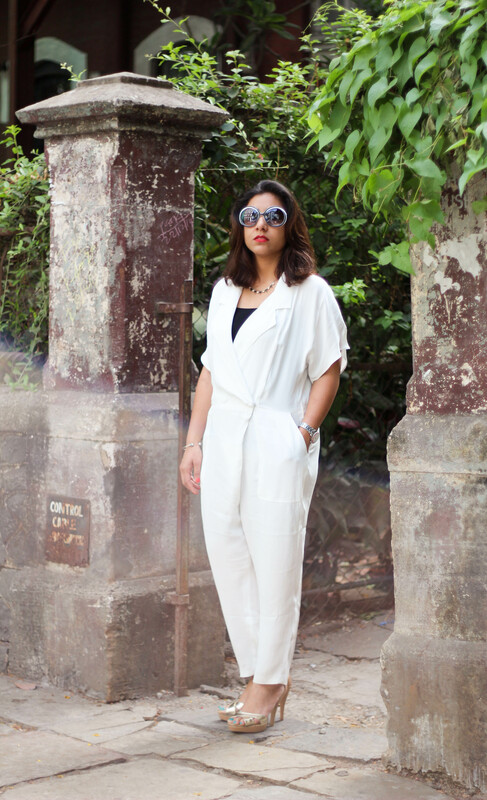 More about our travel in a separate post and now coming back to this outfit. 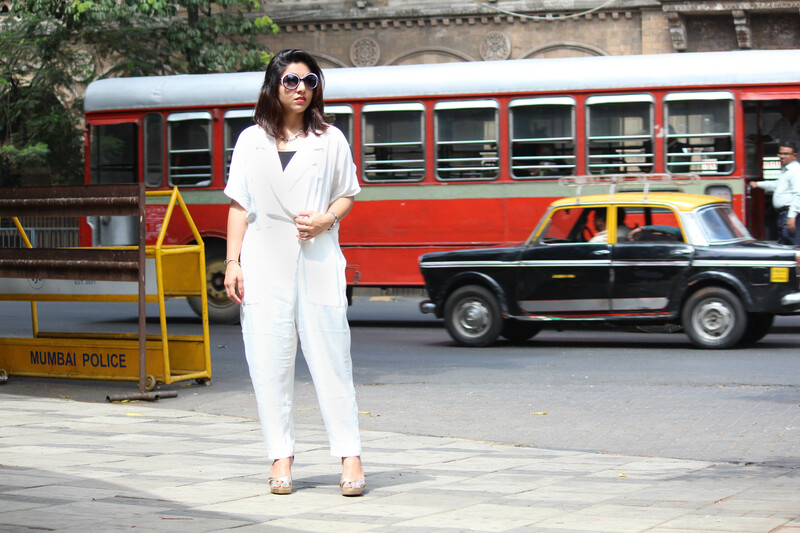 I planned to shoot this monochrome look in South Mumbai with its picturesque old buildings as background. 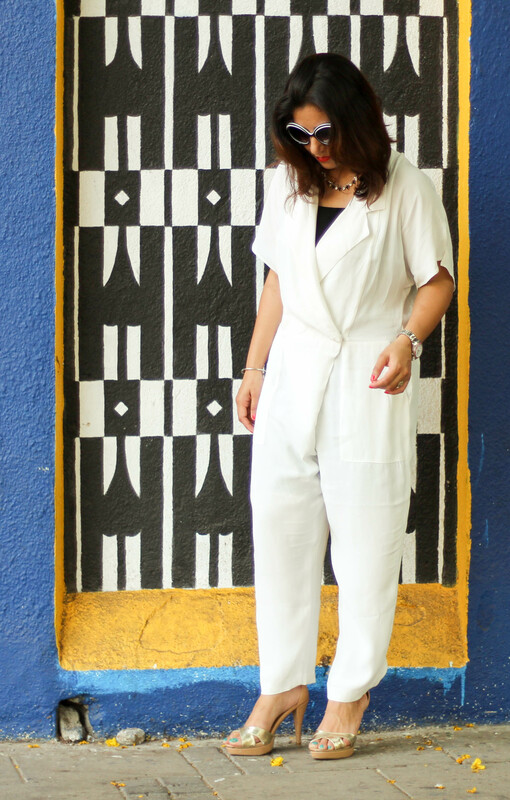 White is a summer perfect color and this blazer style neck with drape at the front imparts an interesting twist to your regular jumpsuit. 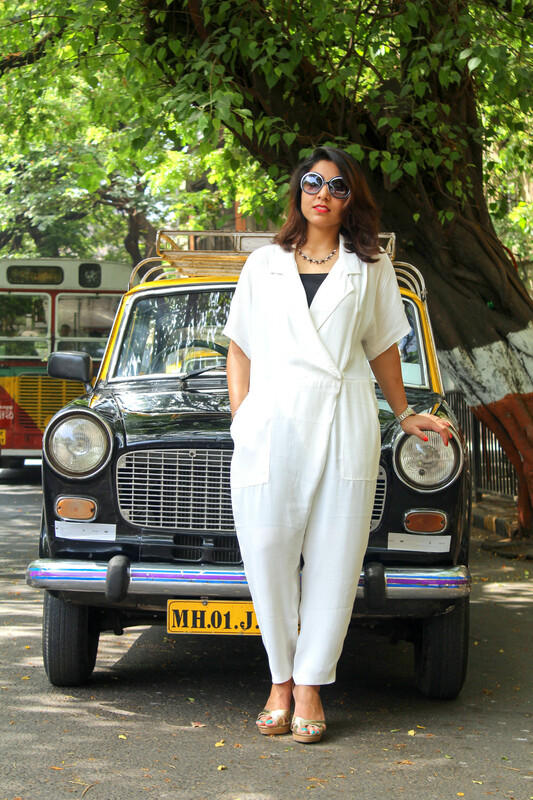 This white jumpsuit is perfect for a brunch look or even a party when paired with right accessories. Apparently it was not that easy to shoot in Mumbai heat than what I had imagined and after this shoot i gave up on the rest we had planned, after all I was on a vacation and who gets up early during holidays(P.S. the only perfect temperature to shoot outside is either during night or early mornings). 😛 But I will definitely try to share some of the travel pictures we clicked in may be a separate post. Till then enjoy these pictures and do not forget to tell me how you like it. 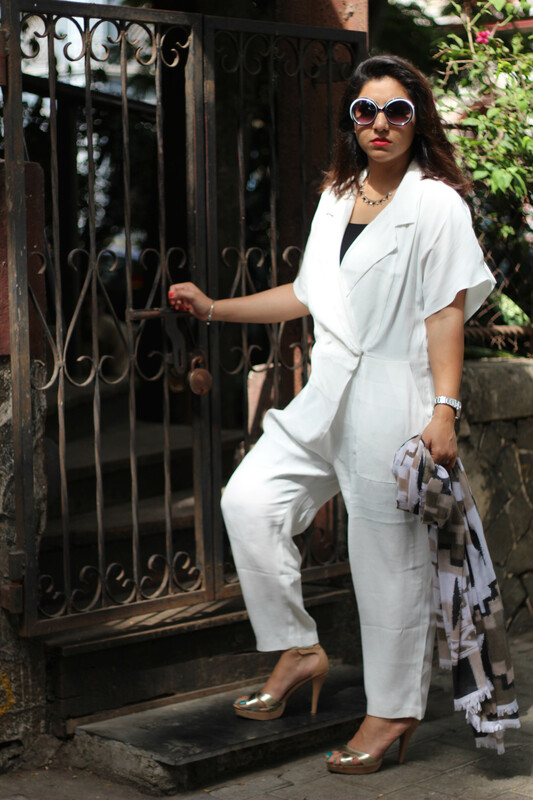 Also make sure you are following me on the blog for regular updates.